Sign up and receive Property Email Alerts of Houses for sale in Peerless Park North, Kraaifontein. Located near to Cape Gate Shopping Centre, Mediclinic, N1, and several well-known schools. This perfect family home offers three bedrooms, a full bathroom (bath and shower with separate toilet) PLUS a bedroom with its own separate entrance and bathroom (shower and toilet). There is also a lovely enclosed braai room, maintainable garden, single garage and single covered carport. When entering the home, the spacious lounge leads into the dining area and kitchen with the bedrooms completely private from the entertainment areas. This home is neat and well-built. The area is excited to introduce the new Pick n Pay lifestyle centre, a few blocks away from the home, ensuring to bring even more economic growth to this popular area. All building plans are approved. 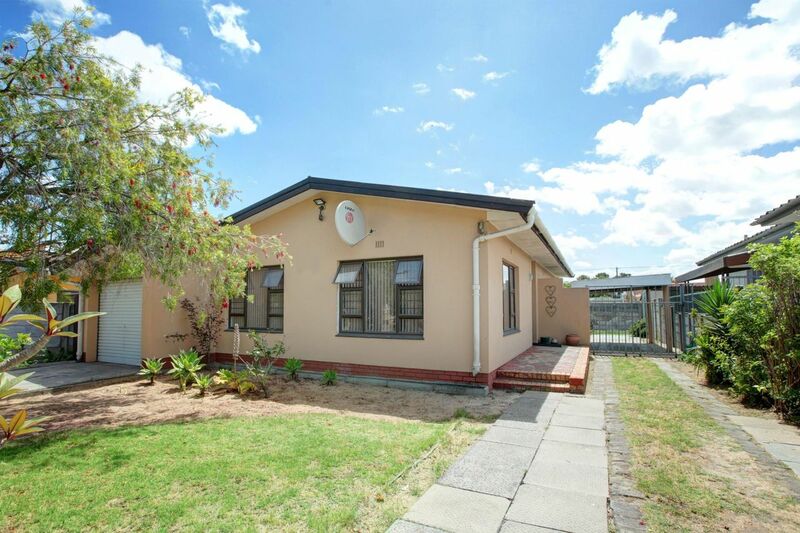 Sign-up and receive Property Email Alerts of Houses for sale in Peerless Park North, Kraaifontein.